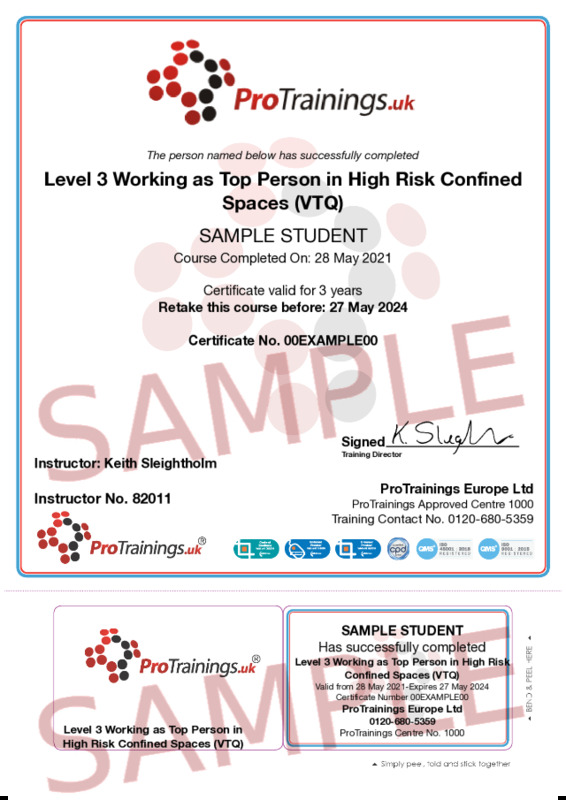 This ProTrainings Vocational Training Qualification is suitable for those already working or for those wishing to prepare to work in confined spaces. Designed for learners who work as the Top Person, outside of the confined space as a point of connection between the outside world and the confined space. Learners who wish to undertake this qualification are likely to have prior qualifications or experience working in and around confined spaces, as well as willing to specialise or demonstrate occupational competence in working as a top person specifically.